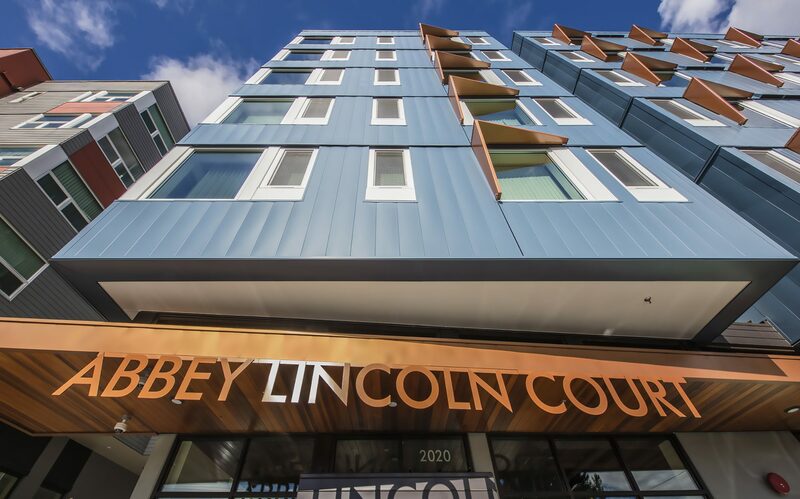 Abbey Lincoln Court, named for jazz singer and civil rights activist Abbey Lincoln, is located in Seattle’s Central District neighborhood. 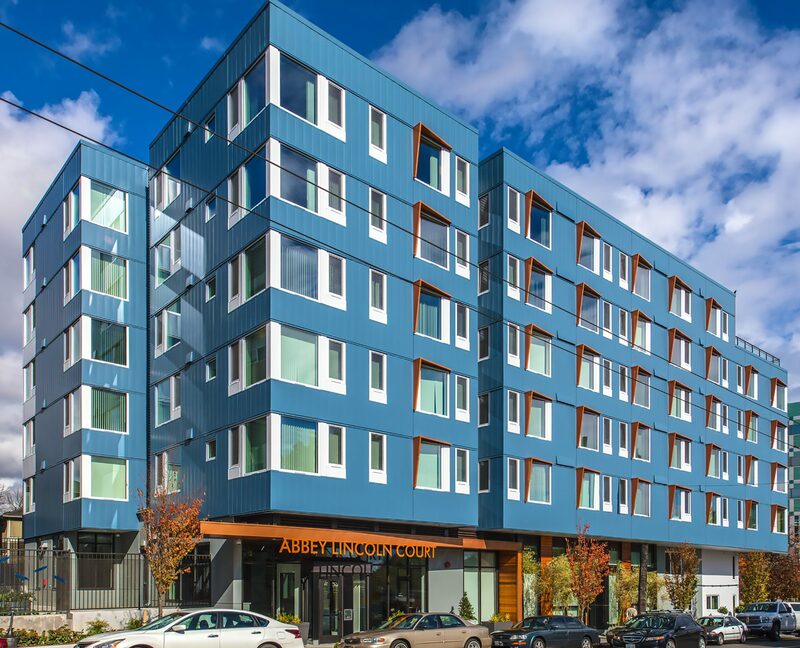 Abbey Lincoln Court provides 68 workforce housing apartments – including larger homes for families – as well as two live-work units. 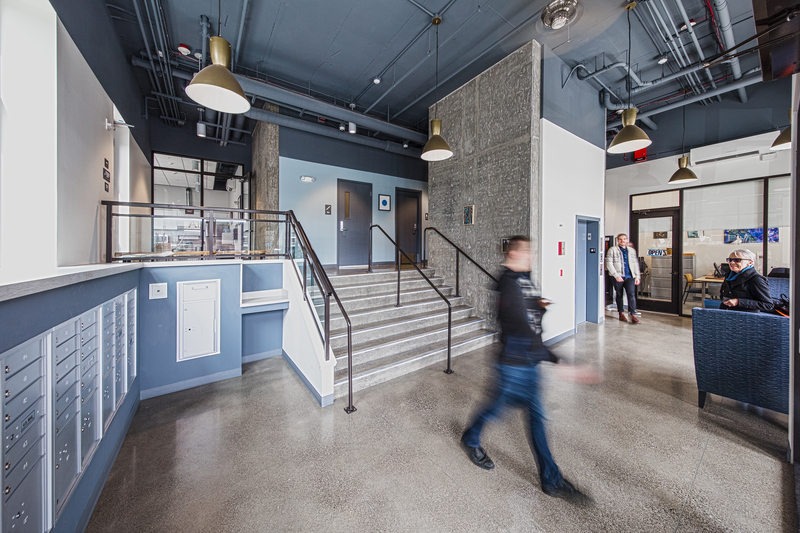 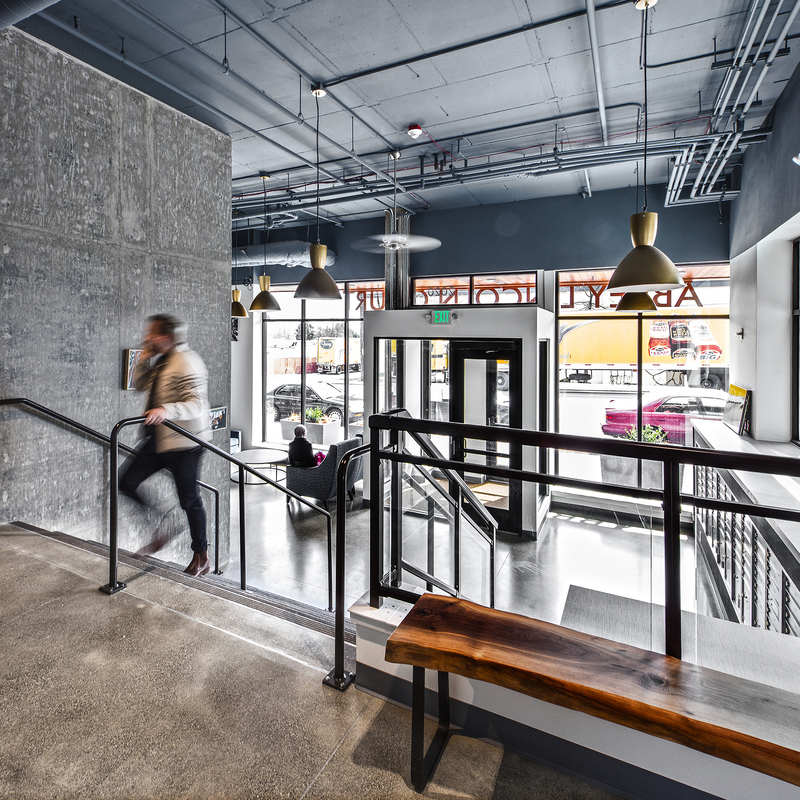 The building shares a courtyard with the adjacent companion development Ernestine Anderson Place, creating a gathering space where residents of both apartment communities can interact. 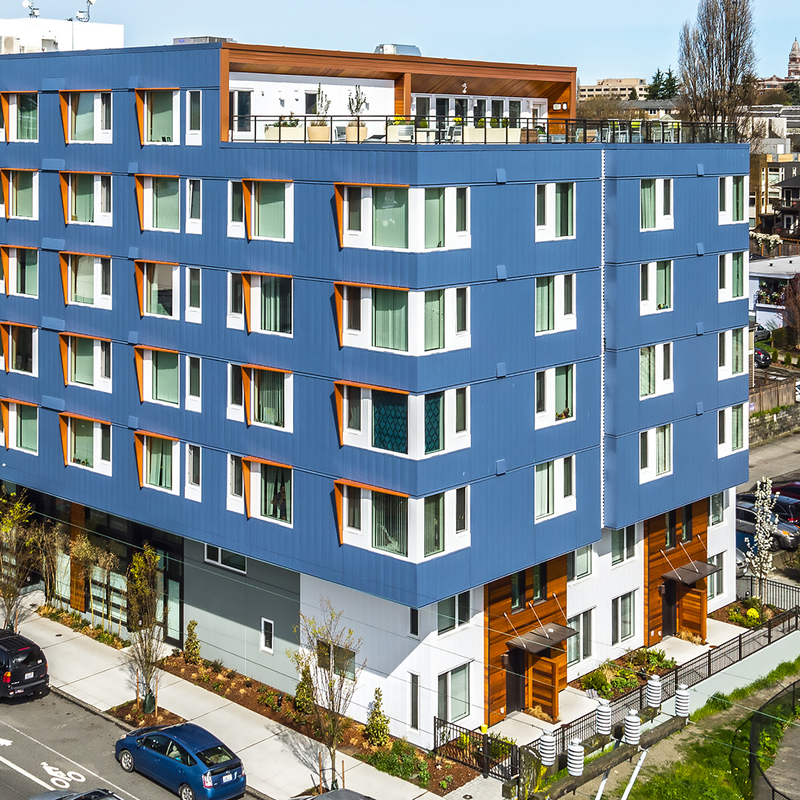 This mid-block site responds to the adjacent park to the east with townhouse units and patios along the ground level.